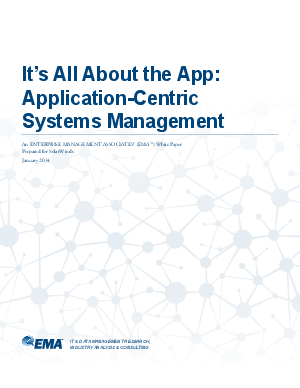 Learn how to prevent application downtime and optimize performance with this EMA Whitepaper “It’s All About the App: Application-Centric Systems Management” that provides the methodology an IT admin needs to utilize an application-focused approach. Issues with storage, virtual machines, networks, and servers can affect application performance. In turn, downtime occurs and business performance is affected. To maintain application performance and availability, system administrators should utilize a holistic approach to managing their IT infrastructure. Learn more about this approach to effective systems management.